When it comes to buying a new car there’s a multitude of reasons that can influence our decisions, from how far away the dealership is to whether the windows are electric. 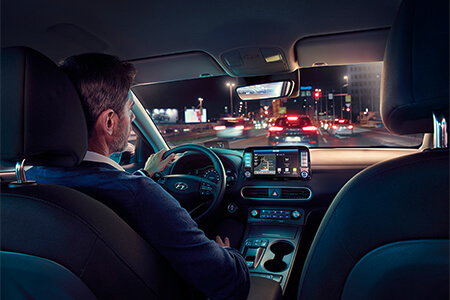 With electric cars becoming increasingly common on our roads, it should come as no surprise that a recent study by Hyundai found that the type of fuel or powertrain (e.g. petrol, diesel, electric, hybrid) came in as the third most influential factor in the decision-making process, after price and reliability. The poll of 2,000 British car-buyers also revealed that road tax, car economy and boot size all ranked within the top 25 influential factors when purchasing a car (the full list of factors can be found below). Sixty percent of us will take someone along when shopping for a car, and unsurprisingly one quarter of those who do will choose to take their Dad. Despite knowing what it is we want and value, and having that all-important second opinion, a staggering 39 percent of us have purchased a vehicle and gone on to regret that decision. Of course, everyone is different and harbours specific requirements, but the findings provide a strong overall indication of what is most important to us as motorists. Considering that motorists typically own a car for an average of five years and eight months, it makes sense that we consider our vehicles as a long-term investment. As infrastructure improves and motorists become more environmentally conscious, demand for ‘green’ vehicles continues to rise. Sales of both electric cars and plug-in hybrid cars are up 25 per cent this year - with a new model registered on average every nine minutes in the UK. 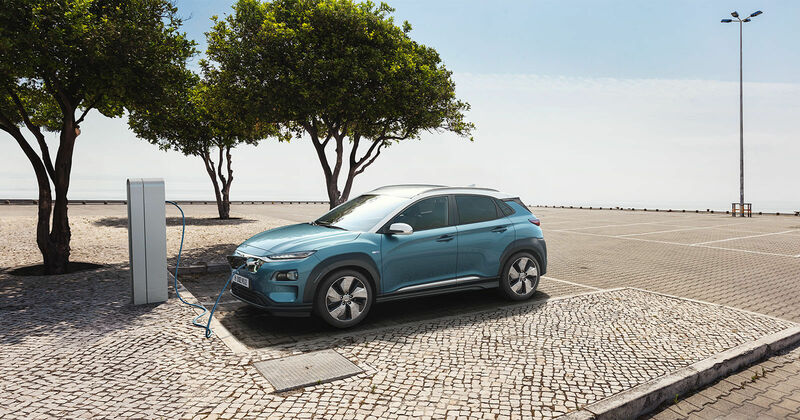 Hyundai has just launched its answer to this demand, the new KONA Electric - an emission-free compact SUV which has a driving range of up to 300 miles. In a bid to ease the transition of the public towards electric cars, the government has introduced a £4,500 Plug-In Car Grant (PICG), making the Kona starting price at just under £25,000, as well as a £500 grant which can be put towards the purchase and installation cost of a home charging point. The KONA Electric will do 0-62mph in as little as 7.6 seconds and has a top speed of 104mph, all whilst producing zero emissions (regardless of whether it’s in either sports or comfort mode). Whilst CO2 emissions and engine power/speed do rank as influential factors, much more important to the average consumer is the cars economy. One of the strongest assets of the Kona electric is the 300-mile threshold, which is normally limited to electric cars with a price tag twice as high. This standard of economy means that you could travel the equivalent distance of Land’s End to John O'Groats for around just £17*. Driving the same distance in a medium-sized petrol-powered car would set you back in the region of £121*. 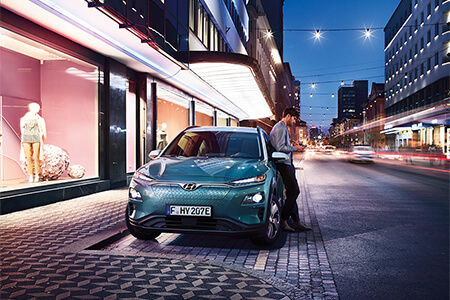 Essentially when we look to buy a new car it’s the price, reliability and running costs that we value most, and the KONA Electric performs exceptionally to deliver on all of these fronts and more.